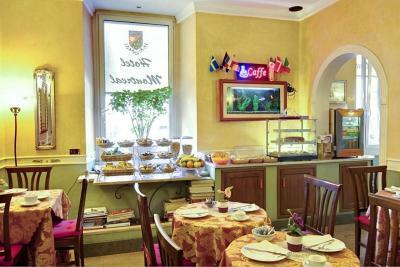 The location is really good ( few steps to Santa Maria Maggiore and Roma Termini) and the breakfast is "continental" that it means to us "real breakfast" with many options: fruits, juices, coffee, yogurt, bread, cheese, etc (In Italy, many hotels that include breakfast, it's only a croissant or something like this and a coffee -its cultural). Affordable prize for what they offer. 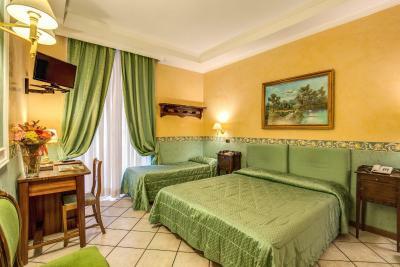 Nothing to be liked very very very bad rooms with dirty bathroom not recommended .. avoid this hotel .. 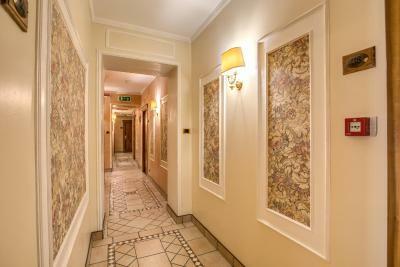 The hotel is close to the train station, so it is possible to walk rather than take a taxi or public transportation. 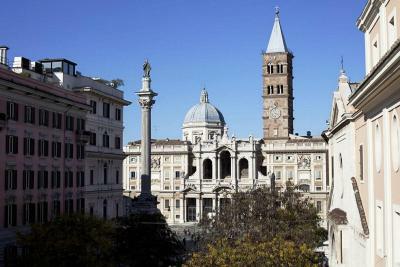 If you're a person who likes to walk, all the major attractions, except maybe the Vatican, are within walking distance. Breakfast is included, although it is at the other hotel, and there is a nice selection of items. Convenient location to sites and transportation. Very good breakfast. The property is older but well kept. The management is done from the hotel next door. The breakfast was also in the hotel next door. Breakfast was average. 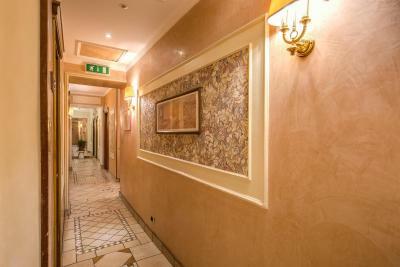 The hotel is well located for sightseeing and close to metro stations. 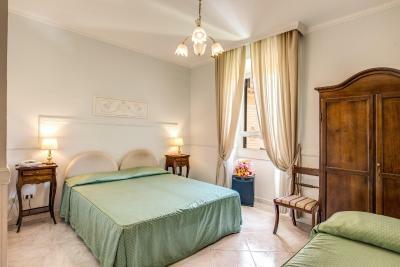 I would recommend for a mid-class hotel on Rome. 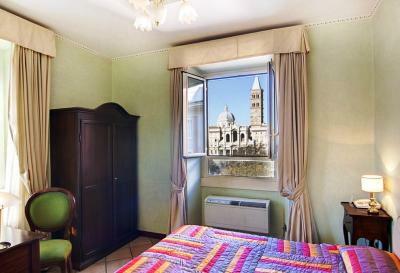 Location was very good, near Roma Termini and down the street from Santa Maria Maggiore. Breakfast was excellent and the room was clean. The elevator was quaintly slow. 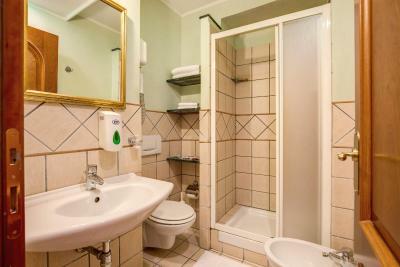 The room was clean and quiet, and the location near the train station was perfect for me. 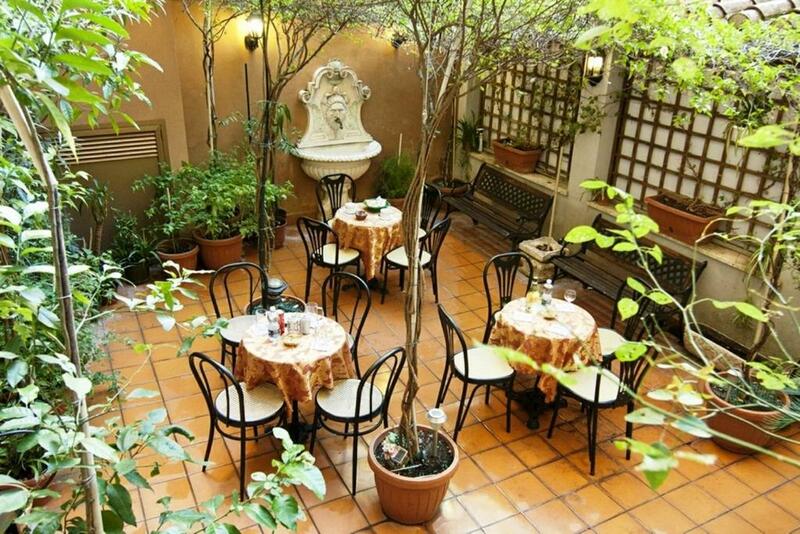 Nice restaurants in the neighborhood. I would most definitely stay with this hotel again. 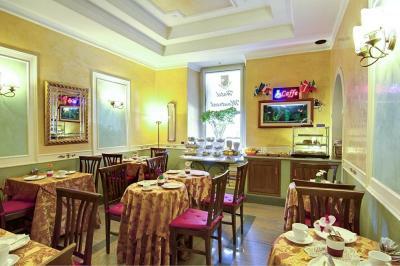 The continental breakfast was hosted in a pleasant dining room. 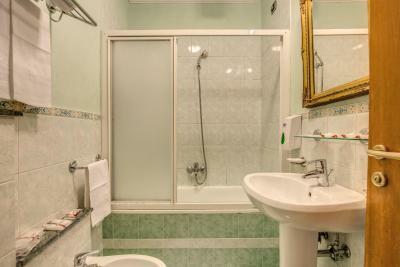 Nice size bathroom and shower by European standards Room was clean and efficient. Not fancy but it is good value for money. 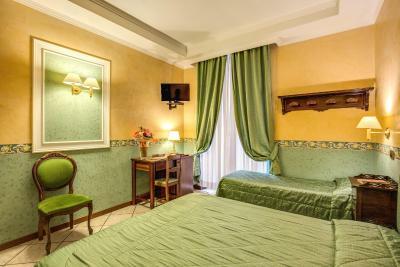 A bit dated decor in rooms but again it is good value for your money. Bed sheets clean and comfortable beds. Tile floors are nice as you know they are clean. 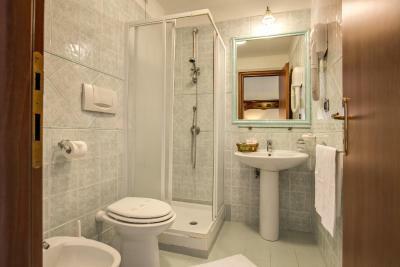 Shower and bathroom clean and large by European standards. 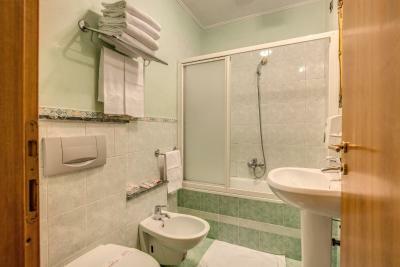 Very good location if you need proximity of train station. Staff arranged for an early 4:00 am taxi and it was a nice vehicle and on time. Pillows were the only deficiency. A love seat was soiled and should have been replaced. 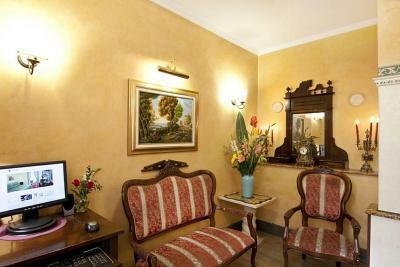 But if you want convenient location and good value to just spend night for an early departure. A great place. 25 min early am cab ride to airport. Important as no bus or train service that time of day. 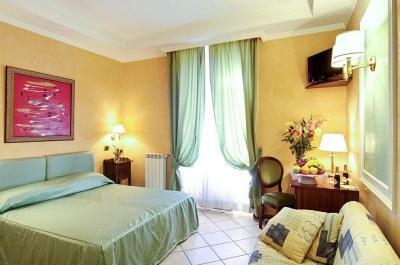 It was near the terminal station very clean room, breakfast was very good and the staff was very polite! 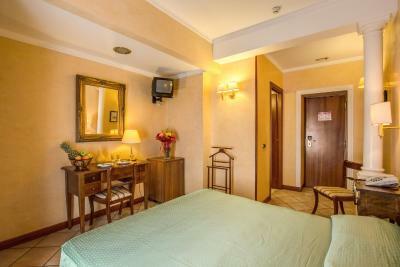 I recommend this hotel value of money !! 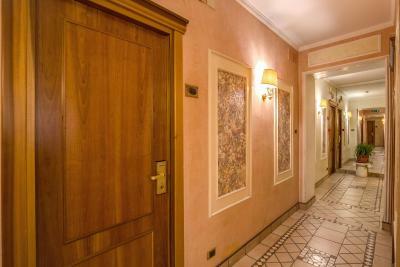 Entrance to rooms are small. Receiving area and breakfast are served at the other hotel. 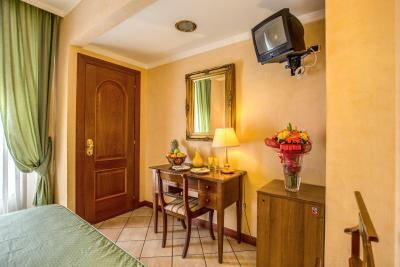 Hotel Montreal This rating is a reflection of how the property compares to the industry standard when it comes to price, facilities and services available. It's based on a self-evaluation by the property. Use this rating to help choose your stay! 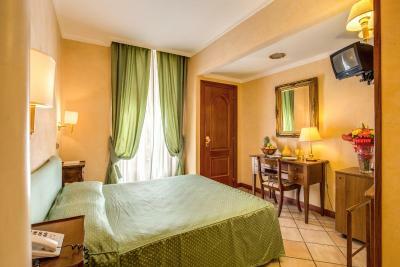 Hotel Montreal is located just over a quarter mile from Termini Train, Bus and Metro Station, offering a convenient location in Rome. 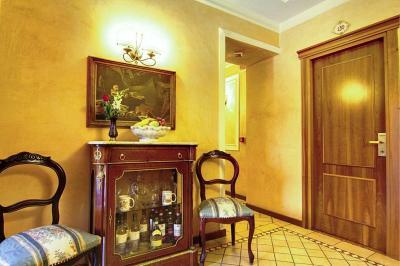 It features air-conditioned rooms and serves a rich continental breakfast. 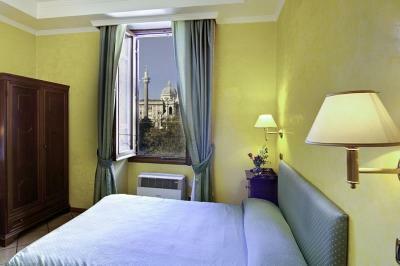 Rooms are decorated with light colors and antique wood furniture and offer city views. 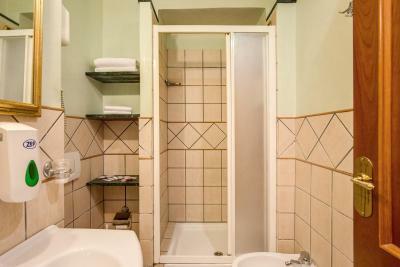 Each one comes with satellite TV, a minibar and a private bathroom complete with a hairdryer and toiletries. Guests can relax in Montreal’s courtyard, furnished with tables and chairs. The staff is available 24 hours a day. 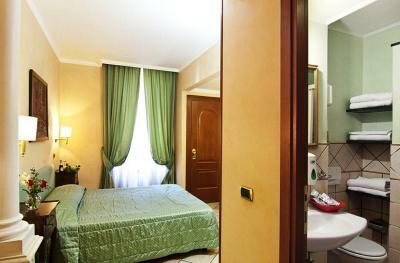 You will be just a 15-minute walk from the Colosseum. 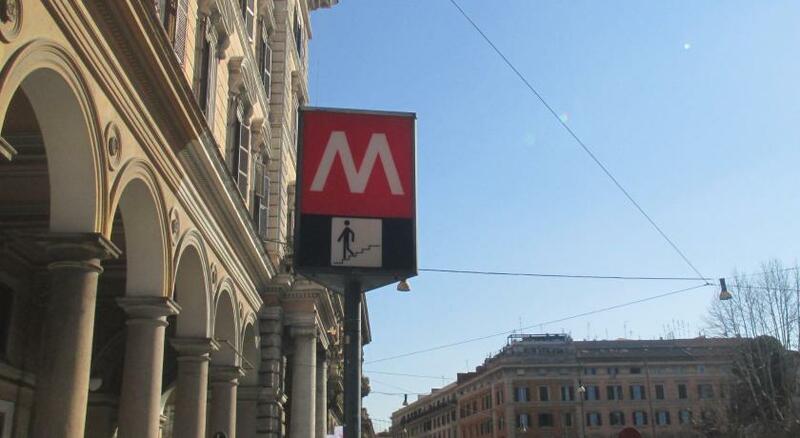 Other landmarks such as the Spanish Steps and the Trevi Fountain are easily reached by Metro. 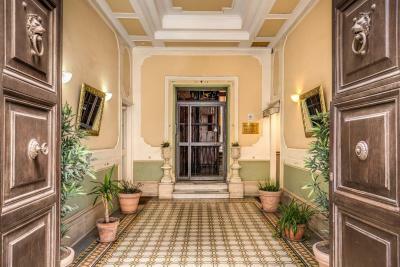 When would you like to stay at Hotel Montreal? 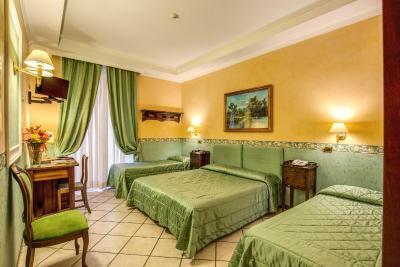 All rooms are air conditioned and decorated with light colors and antique wood furniture. They offer city views. 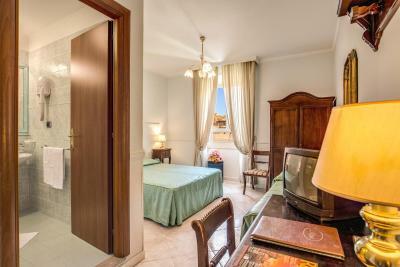 Hotel surroundings – This neighborhood is a great choice for travelers interested in architecture, Roman Ruins and history – Check location Great location - show map Guests loved walking around the neighborhood! House Rules Hotel Montreal takes special requests – add in the next step! Hotel Montreal accepts these cards and reserves the right to temporarily hold an amount prior to arrival. Room EXTREMELY NOISY! Hotel located on the busy street and windows does not remove the noise at all. No chance to sleep in the night! Perhaps it was because we were on one of the top floors, but it was really, really, really noisy. Until 1-2 am every night. I could never figure out where the noise was coming from, either. 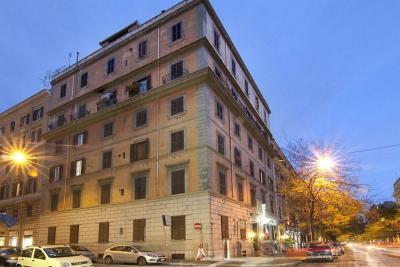 Also, the hotel we actually stayed in, Hotel D'Este Rome, was not the one we reserved. It seems both are under the same management and they swap rooms regardless of which one is actually reserved. Others have commented on this as well. I really don't think this is ok. The place we stayed in looked nothing like the one we reserved. The location is excellent. Near the train station, but a street or two away from the tourist areas. There is a large grocery store on the corner and another, smaller store down the street. The beds were extremely uncomfortable and the room was so loud. I heard every footstep in the hall and the pounding on doors at all hours of the night for both nights of the stay the staff was never in the building always the hotel next door. It was not at all central to any of the attractions. I would not recommend this hotel. Great location! Breakfast is good and price/quality balance is good! The employee's are not friendly, you don't even get a simple "good morning" of them. Also me and my wife arrive at the reception of hotel Montreal and there was nobody there.. after waiting for a wile there comes a guy calling you from the hotel next to Montreal saying to go there.. at the check in you don't get any explanation of the hotel. 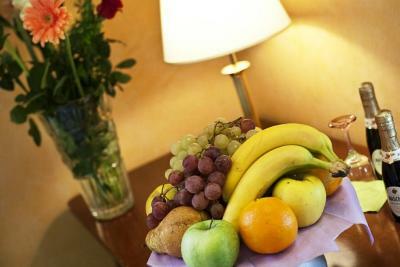 Friendly behavior should not be a matter of stars or hotel price. 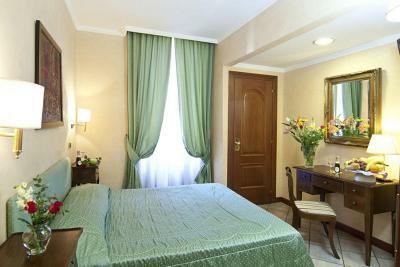 Very clean place, house keeping everyday did an excelent job. Breakfast place is also clean and always with good attention of the employees regarding the quantity of food. 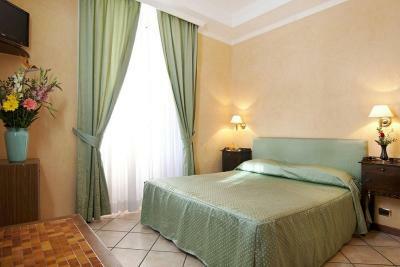 Very good quality/ price place to stay. Breakfast not so good. 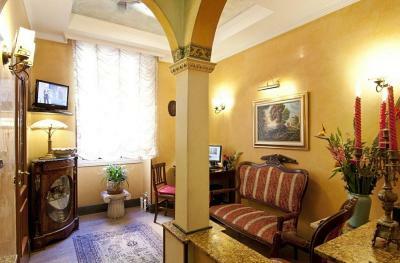 Old fashioned rooms. 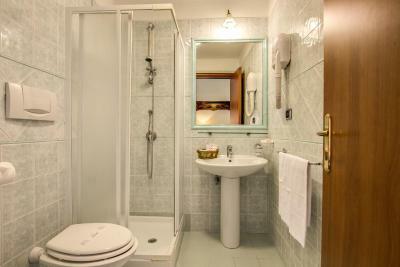 Clean room and bathroom. Polite staff. Good location. We seemed to do a lot of walking to landmarks we wanted to see colosseum palatine hill. But walking is great exercise. So all good in the end. Great hotel, breakfast and wifi. The chek in took too long, and it was in the hotel next door. They gave us a room which probably was not a hotel room; there was no windows, no lift, and we had to go outside to get into the room. The room door faced a tiny square in the middle of the building where we could see (and smell) all the rubbish they kept there in bags and the old matresses standing next to it. The furniture in the room was old and the bed and the matress could easily be 30 years old. We have never seen such a horrible "accomodation". 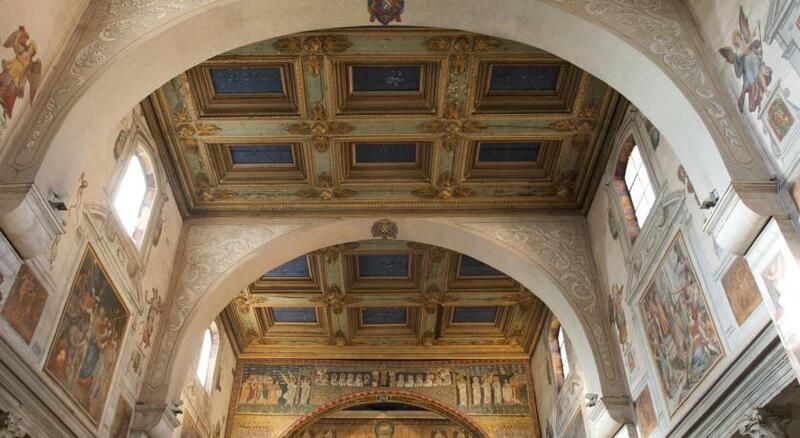 It was not far from the Termini train station. 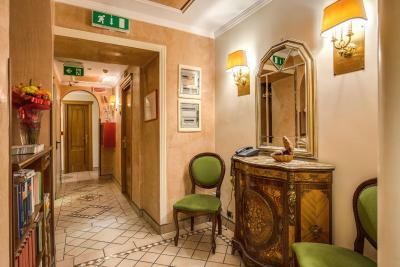 we arrived before midday and the concierge was waiting for us, he was very friendly and helpfull with all our questions. 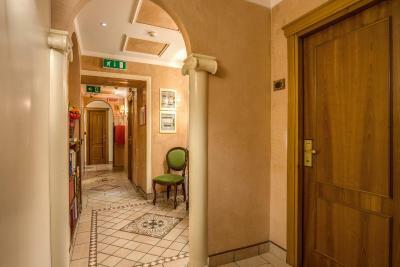 The locations is great, since is walking distance from the main train station. So is easy and cheap to get into the aiport, but also if you want to go around the city. 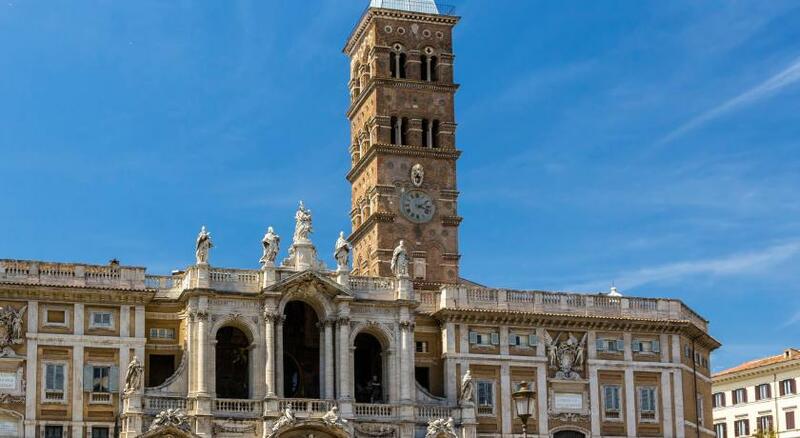 Not the most beautiful area in Rome, but defiently strategically located. I fully recomend. Sometimes we had some problems with hot water but overall it was good. 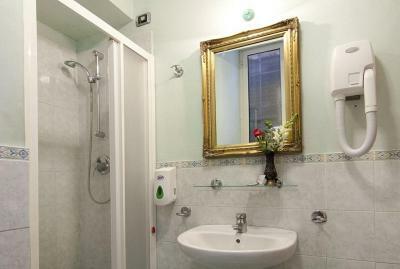 Good location , close to the city centre and train station.